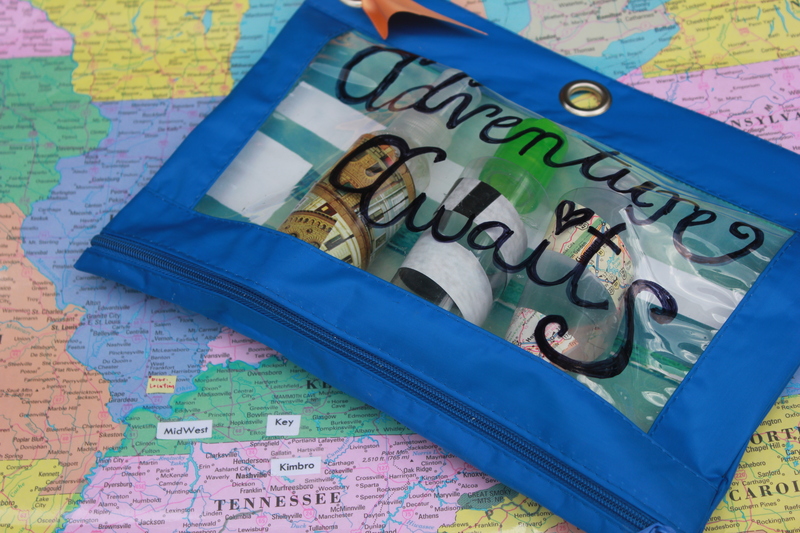 With adventure awaiting what could be more perfect than a unique & fun travel kit to tote all of the necessities. It’s a simple project & the best thing is most of the materials you can find in your house. 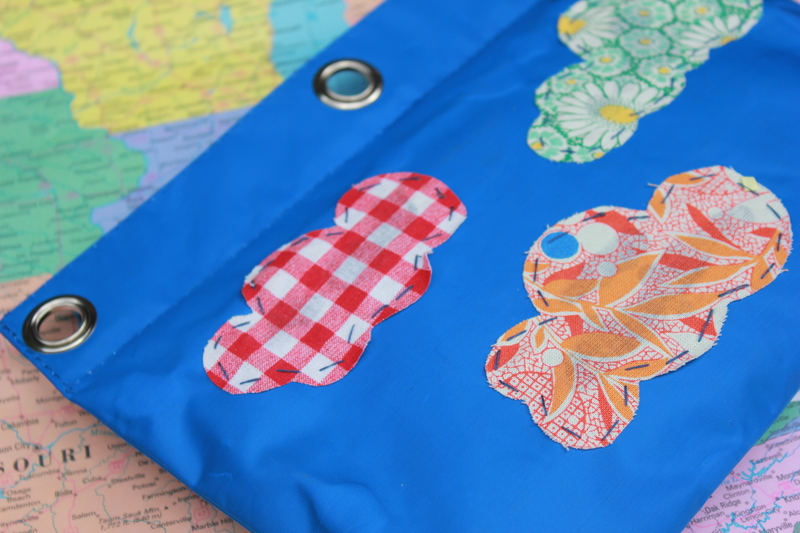 Here are some of the materials we used, but you can really add your own personal touch to creating your own travel kit. The possibilities are endless! 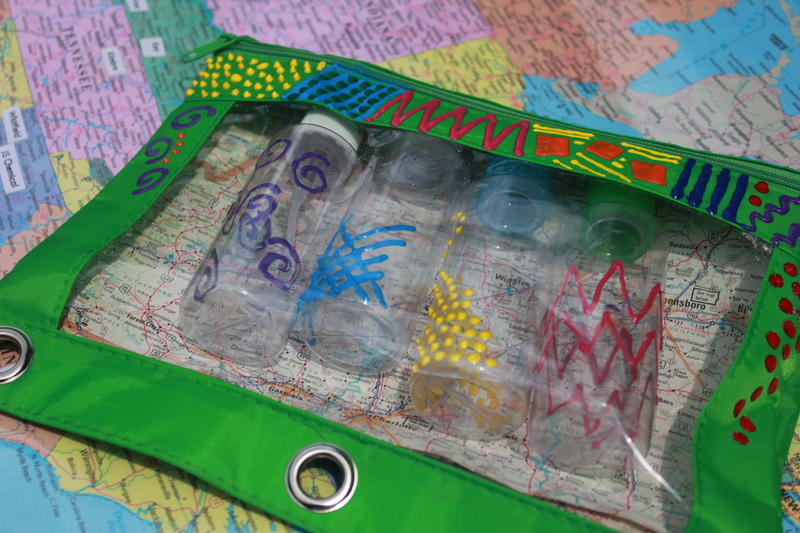 Rosemary used puffy paint to create patterns on her travel kit & created an inside backing repurposing an old map. I stitched clouds cut out from leftover fabric on the backside of the kit & created a handle by tying knots in ribbon until it was large enough to fit around my wrist. 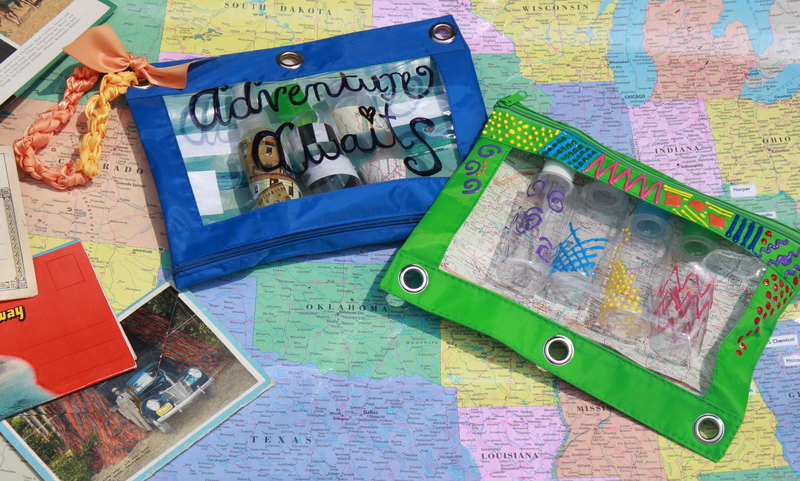 I used pictures from a magazine cut into stripes for the backing of the travel kit & wrote ‘Adventure Awaits’ with permanent marker on the front. 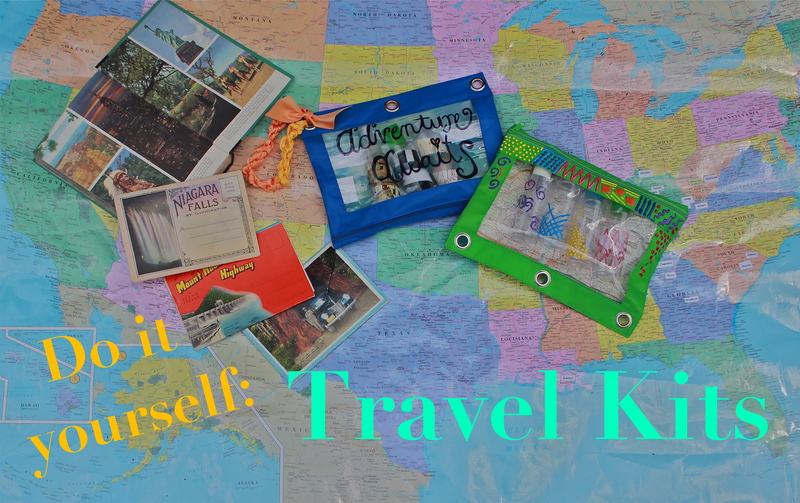 There you have it… your very own travel kit! Happy travels to y’all! Paint, tape & create to your hearts content! Bethany and I are knee deep in house hunting. While we separated our records and dvds with our roommate Sarah last night, we discussed our future plans. T minus three weeks and we’ll be without our pretty little Rosemont home. The air’s definitely beginning to get a bit thicker as we try and figure out a quick plan of action while still trying to maintain composure (and sanity!). It’s funny how things work in life, huh? Everything is stable, life is great, you’re in your routine and then ‘BOOM!’, God throws you a curve ball. Something completely out of the blue knocks you in your head and leaves you on your knees. We definitely know that He is demolishing this home for us to move onto bigger and better things, but we honestly have no clue where He wants us right now. I kind of think that’s the beauty in all of this. Yes, we’re scared and confused and upset at the thought of having to move out of our beautiful house with our great roommate Sarah, but at the same time, there’s a new adventure out there waiting for us. I can’t wait to see where we end up in less than a month. So, the house hunt continues….